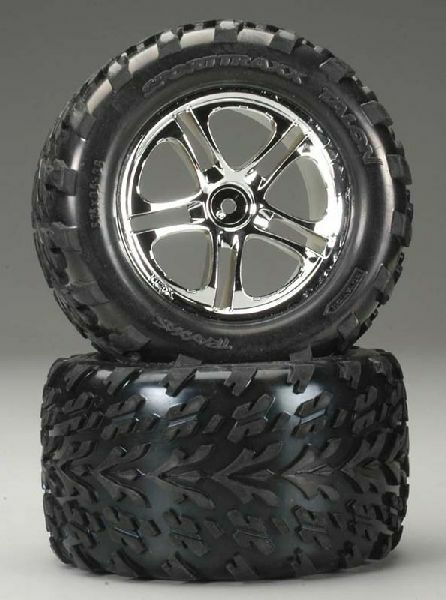 These are the TA5174, SS Series Tires and Wheels for the Traxxas Revo and Maxx Vehicles. Plastic chrome 5-split spoke wheels. Sporttraxx Talon Tires pre-glued and pre-mounted with on/off-road tread.